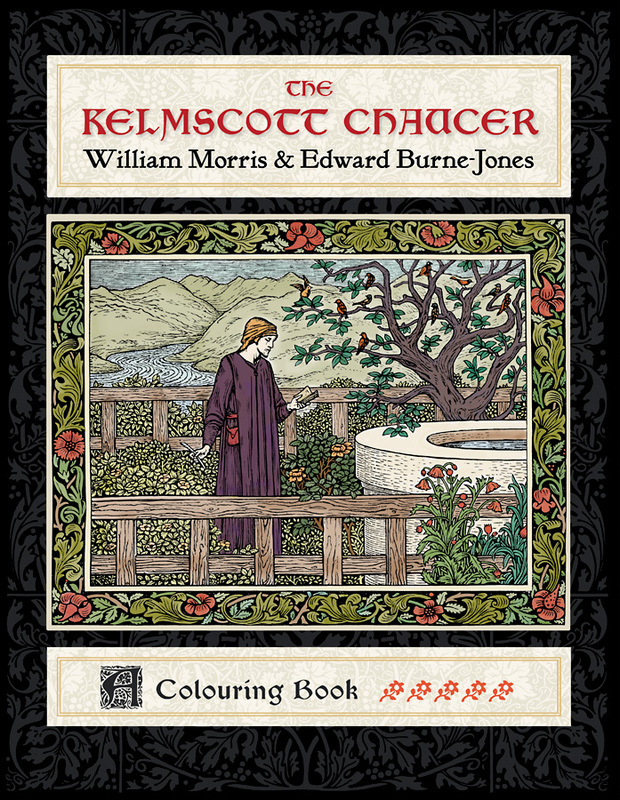 Widely regarded as one of the most exquisite books ever printed, the Kelmscott Chaucer is the masterwork of William Morris (1834�96) and Edward Burne-Jones (1833�98). 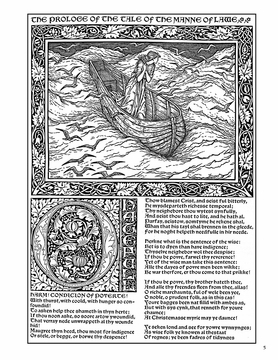 Published in 1896, more than thirty years after the two Englishmen discovered a shared love of art and medieval literature while students at Oxford University, The Works of Geoffrey Chaucer now newly imprinted represents the peak of their artistic collaboration. Morris was a man of many passions梐n artist, designer, poet, publisher, businessman, and social activist, as well as being a founder of the Arts & Crafts movement in England. 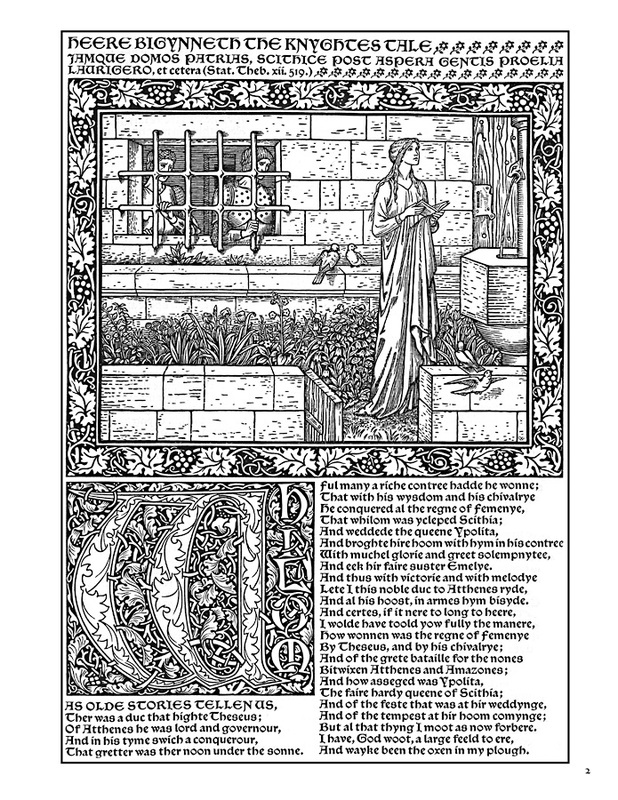 After establishing the Kelmscott Press in 1891, he turned to his friend Burne-Jones, a painter then in great demand, to help him create an ideal book, one patterned after the artistry and typography of medieval illuminated manuscripts and the best of fifteenth-century handprinting. 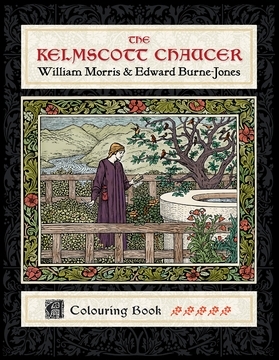 In its 556 pages, the Kelmscott Chaucer included 87 elegant narrative illustrations by Burne-Jones and 32 of Morris抯 lush floral and foliate border designs, along with his decorative frames and initials. 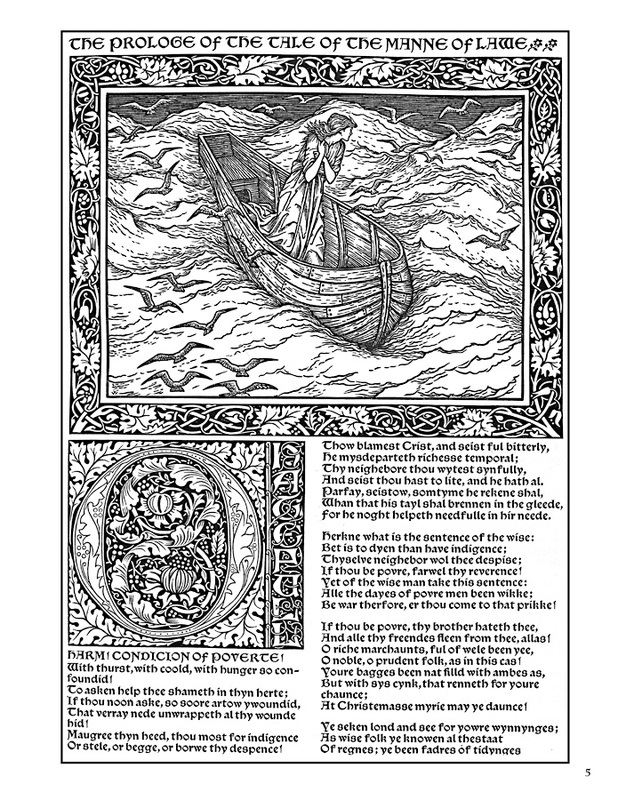 It was printed to exacting specifications in black and red using the (appropriately named) Chaucer typeface Morris designed for it. 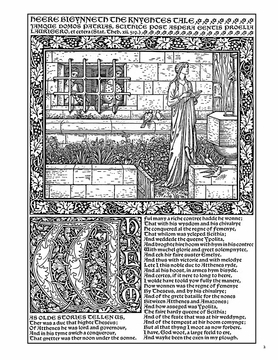 The first two of the 438 books printed were presented to Morris and Burne-Jones in June 1896. Morris, who had been in declining health for several years, died four months later. Burne-Jones would survive him by less than two years. 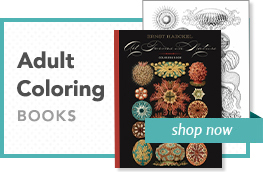 This colouring book抯 images are from a copy of the Kelmscott Chaucer in the collection of The British Library, which houses more than 150 million items representing every age of written civilization.